Open 24 hrs, 7 days a week. Many of our sites allow you to purchase a trial membership that is good for 5 days. Trial memberships upgrade automatically to the standard monthly membership plan unless you cancel within the trial period (the specified number of days from which you purchased your trial). Please refer to the Terms and Conditions of the website that you joined for further information. In some instances, during the 5 day free trial period, your available balance or credit limit may be reduced to reflect the authorization; however, no charges will be made against the Payment Method unless you do not cancel prior to the end of your free trial period. Pending charges, while pending, will, however, reduce the available amount of credit or debit capacity on your Payment Card in the amount of $1.03 per pending charge. If you have questions, contact our customer support team and speak to an agent. Yes – using goplayz.com is 100% legal. We have copyright permission to sell and rent all content online from over a dozen providers. In these situations, please contact customer service in order to update your billing file. We don't have long-term contracts or sign up fees, however, all charges are non-refundable. Simply cancel your membership and you will not be charged in the future. 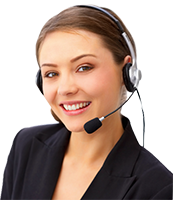 Please call 1-866-358-3539, 24 hrs, 7 days a week in order to speak with our customer service agents, or contact us via email. No more charges will be billed to your account. During the sign-up process, the terms and conditions of the 5 day free trial can be read prior to selecting a membership plan. These terms are located on the sign up confirmation page and the membership confirmation email. We recommend all our users to read the complete Terms and Conditions. A confirmation email will be sent to the email address you provided when you cancel online. As soon as you cancel, you will not be billed in the future. Please check the spam or junk folders in your email account if you do not see the email in your account. If you did not receive the confirmation cancellation email, you can either try again or simply call our customer service and speak to an agent. If you have received an e-mail confirmation confirming the cancellation of your membership yet are still being charged, please contact us so that we can closely investigate the matter. You will be fully refunded for any additional charges that you incurred after the date of cancellation in question. Under normal circumstances, a membership cancellation automatically prevents any further billing. Our site allows you to purchase a free trial membership that is good for 5 (five) days. Trial memberships upgrade automatically to the standard monthly membership plan unless you cancel within the trial period (the specified number of days from which you purchased your trial). Please refer to the Terms and Conditions of the website that you joined for further information. Your login information was sent to the email address you signed up with. Try checking the spam or junk folder. If you still can't find it, call our support team at 1-866-358-3539. In order to obtain your password, you must click on the "Forgot Password?" link in the login box. You will then be asked to please enter your E-mail Address, then click the Submit button, and you will receive a new password shortly. Use this new password to access the site. Please contact us if you forgot both your username and password and an agent will gladly help you. Yes, our site works on both your PC and Mac, all you need is Adobe Flash Player 10 or greater installed. You will not be able to use any of our games on a Mac. You will not be able to play games using a dial-up connections. If you are still having issues, please download and install our game launcher. After you re-boot your computer, please try again. If you are still having technical difficulties, please contact our customer support team for further assistance. Please verify that your Personal Firewall settings are correct: Firewalls, such as Norton Internet Security, are generally good things to have, but they sometimes interfere with our site. If you are behind a firewall contact your network administrator to see if you can have direct access to the internet from your computer. If you have a personal firewall, disable it while you are visiting our website, and turn it back on when you leave. Please contact our customer support team with further questions. Please contact our support team by phone at 1-866-358-3539 , 24 hrs, 7 days a week. This is to confirm that I am deleting my membership and remove my account from your database.